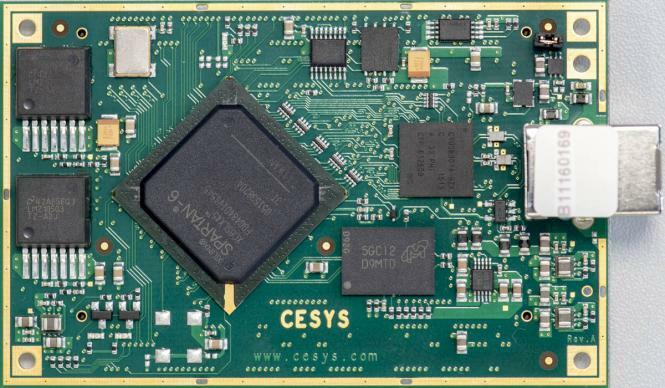 The Cesys EFM-02 FPGA module combines a low-cost, low-power Spartan-6 FPGA with fast 2 Gbit DDR2 SDRAM and a Cypress FX-3 superspeed USB 3.0 interface. 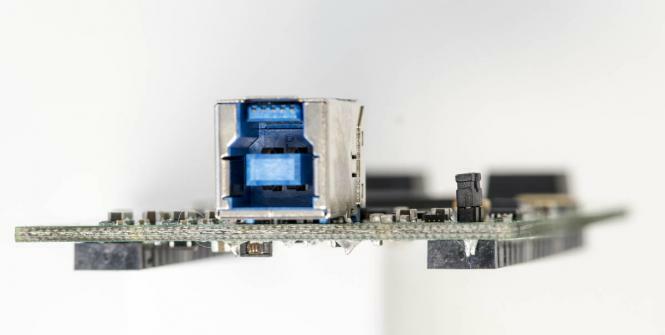 Up to 191 single-ended user IO are available on two Samtec Q-Strip connectors. 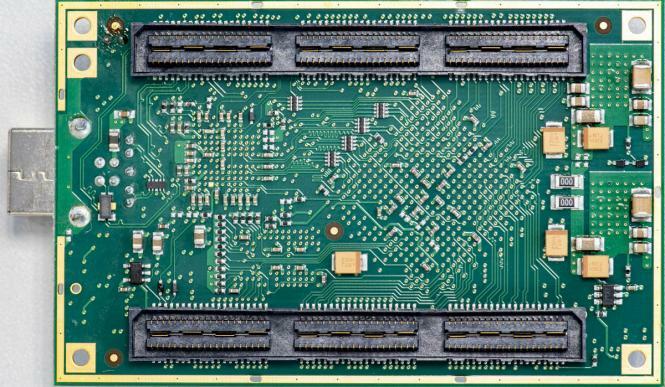 The IO signals are differentially routed and can therefore also be used as LVDS pairs. The module comes with a reference design and example software for Windows, Linux and apple Macintosh computer (in preparation). -> The module is available with different FPGA densities.